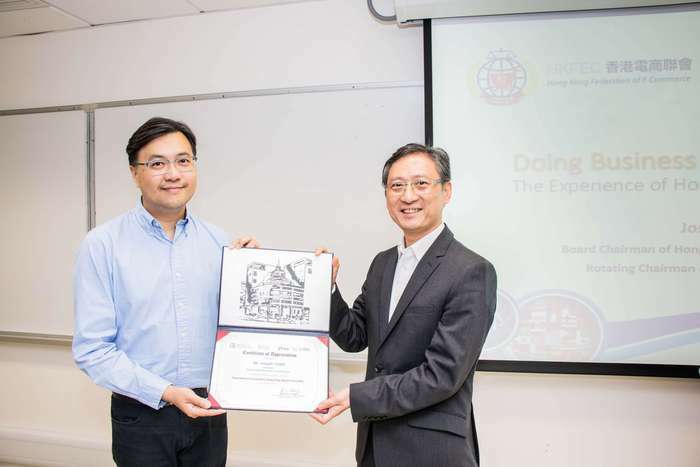 HKFEC and the Hong Kong Baptist University co-organized “Doing Business In The Digital Age : The experience of Hong Kong” Seminar on 8 June 2018. 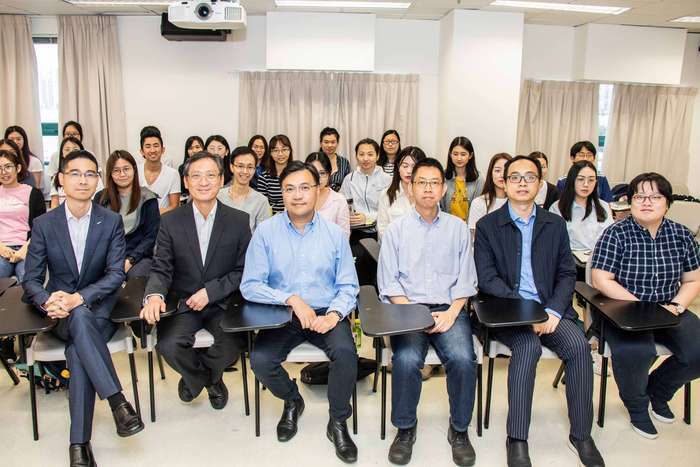 Our chairman, Mr. Joseph Yuen was invited to share the development, opportunities and challenges of e-commerce in reality and discuss further with professors and students. Over 40 guests participated the seminar. Mr. Yuen first introduced an overview of e-commerce today, and further elaborated the development of e-commerce worldwide, then explained how Big Data and AI became the trend of e-commerce development nowadays and how to utilize these tools in different industries, finally shared about how to improve Hong Kong’s position in the e-commerce world. 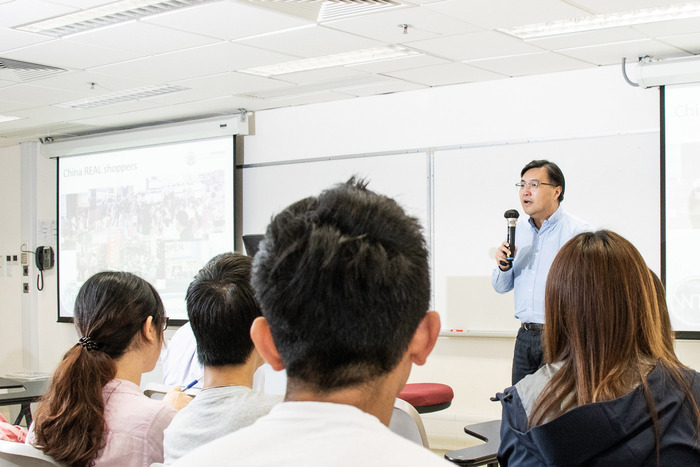 Participants reacted and discussed with Mr. Yuen actively and we were glad to have the opportunity to exchange insights with students and professors in Baptist University. We look forward to more discussions over e-commerce development in Hong Kong.